The national language of the Philippines, or Filipino Wika, is Filipino, formerly called Pilipino. Sixty percent of the Filipinos are using the language as a medium of communication along with English. The Philippine Language is an Austronesian language that is based on various existing native languages in the Philippines, with a significant number of Spanish words in the vocabulary. About 40% of everyday or informal Tagalog conversation is practically made up of Spanish loanwords. 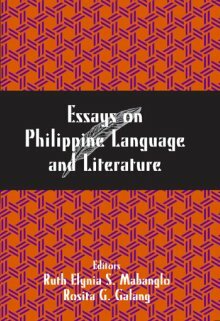 The Filipino language is in evolution, development and further enrichment on the basis of existing languages of the Philippines and other languages. It is the first Philippine language of Filipinos living in Metro Manila and the second language of most Filipinos. English and Filipino are the official languages. Filipino is largely based on Tagalog, with many words adopted from other languages, including English and Spanish. It was made the national language in 1987 in an attempt to address the fact that no two of the indigenous languages are mutually comprehensible. The Filipino language is a required subject in schools, but English is more commonly used in higher education. Elementary and secondary schools use the English language as part of instructional means for students. English is also commonly used in government and commerce. Some Filipinos are trilingual, speaking an indigenous language, Filipino, and English. Many Filipinos continue to primarily speak their indigenous language, rather than Filipino. Very few people speak Spanish, despite the country’s colonial history, aside from the city of Zamboanga where Spanish is still used especially for the native inhabitants. Spanish never became a widely used or learned language in the Philippines, in contrast to the Spanish colonies in the Americas, because the Spanish friars used the vernacular to introduce Catholicism to the indigenous population. Arabic and various dialects of Chinese are spoken by a small minority of the population. Every region of the Philippine archipelago has its own local dialects. Each dialect is still widely used in its region. However, most, if not all, are capable of speaking Tagalog or English if necessary. The Commission on the Philippine language, the regulating body of Filipino, envisions a process of popularizing regional dialect usage derived from regional languages as the basis for standardizing and intellectualizing the language, thus forming a lingua franca. Preserving indigenous dialects increases the reputation of the country as affluent in terms of culture and tradition. Philippines had no national language in the early period. Instead, the different regions of the Philippines used different languages.History shows that the native Filipinos mostly spoke the Austronasian Language. Among 111 distinct indigenous languages and dialects of the Philippines, Filipino or Tagalog is widely used Especially in Luzon. People in the province used their own dialect. Some of the major languages or dialect in the Philippines are Cebuano (Bisaya), Ilocano (Ilokano), Bicolano (Bikolano), Kapampangan, Pangasinan, and Ilonggo/Hiligaynon. But in spite of the Filipino language being the national and official Philippine language, English is still used in schools as the medium of instruction. English is widely used for educational, government and commercial purposes. The Philippines is the third largest English speaking country in the world. It is one of the reasons why call center industries established a strong relationship with the Philippines. Tourism also continues to grow not only because of the beautiful places to see but also because of the hospitality of the Filipino people. If you’re a tourist, capable of speaking English, even if not a native speaker, staying in the Philippines and communicating with the Filipinos is effortless.